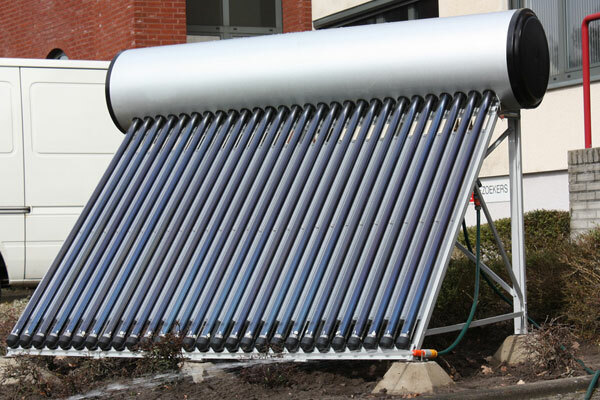 Solar Water Heater uses solar thermal energy to heat water that could be used for bathing, washing, cleaning and other purposes. The Solar water heater consists of a collector and an insulated tank. The solar collectors use the solar energy to heat water passing through the pipes of the collector. And the insulated tank stores the hot water formed. The Solar equipment can be installed on the terrace or another area where the equipment can receive sufficient sunshine. The Solar equipments we provide are passive Solar water heating systems that work on the Thermosyphon Principle where the hot water rises to the storage tank and an equal amount of cold water is replaced based on the difference in densities of the liquid. 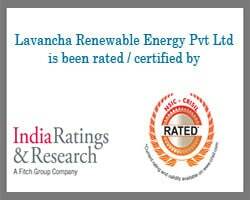 Saves electricity bills more than 90% Return on Investment less than 1 year for a 20+year design life as compared to Electrical Geysers. Better performance on cloudy rainy days. However, ISI mark 1.5 kW / 2 kW / 3 kW backup electrical heater thermostat available [Optional]. No scale formation No pipe blockage will occur by using salt / hard water. Electricity Board gives concessions on monthly bills when the Tax Invoice is submitted. A flat plat collector is basically a black surface that is placed at the convenient path of the sun. The system mainly consists of glazing, an absorber plate and the pipes which are copper tubes fitted to the absorber plates. Sunlight passes through the glazing and hits the absorber plate which converts sunlight into heat which is transferred to the pipes which heat up the circulating water. 5 Flat plate collector fins (9 Nos) Ultrasonic welded with Nalsun coating. Inner tank 1.2mm C.R.C.A sheet with co2 welding inside coated with prime guard coating / 2.5mm for pressurized systems.